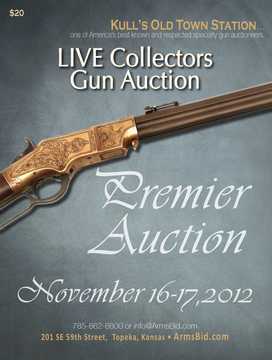 Kull's Old Town Station is hosting our LIVE Collectors Premier Gun Auction November 2012. Mark your calendars for November 16th & 17th, 2012 to be with Kull Old Town Station in Topeka, Kansas. Join us for a full day preview on November 15, 2012 from 9am - 6pm. 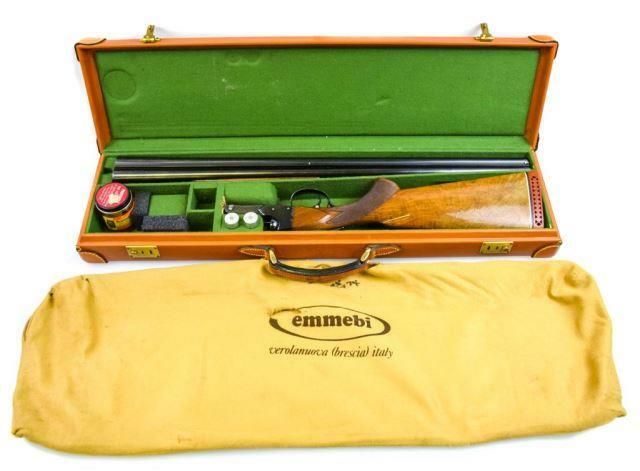 Participate with live and online bidding and be part of one of the most recognized gun auctions in the world. Our full color catalogs are available now for purchase. Catalogs for our Premier Auction November 2012 are now available. If you did not get a catalog they can be purchased for $20.00 by contacting us by phone 785.862.8800 or by an email at info@armsbid.com. If you would like to order a catalog subscription $40 (1 yr) or $75 (2 yr) please contact us by phone at 785.862.8800 or by email at info@armsbid.com. International buyers catalog subscriptions are as follows; $55 (1 yr) or $90 (2 yr).